We already know what sets SV3® from Building Intelligence apart from the rest, how it works, how it can help keep your loading dock safe, and why it belongs in the cloud. We also know that maintaining and bolstering the safety and security of our office buildings, schools, warehouse facilities, and more is the number one priority. In the hustle and bustle of the city, how can visitor management help with your New York City building’s efficiency and productivity? First of all, there are several questions we need to answer when considering our visitor management systems and how they can increase efficiency. These solutions to these problems care often overwhelming, can require vast resources, and are also overall time consuming. What clients, vendors, or visitors are coming to our building today? Are the visitors properly authorized? Which tenants/employees are they visiting? How long will they be in the building? How will we notify our busy employees of their visitors, especially if they aren’t at their desk? How can we keep track of everyone on the premises? Did the visitor check out? Again, finding the right solutions for these questions without a visitor management system can be cumbersome. You will need to allocate resources for at least one front desk receptionist, a handful of security guards to ensure authorization, and physically monitor the guests’ whereabouts while on the premises. That’s not even taking into account the tedious (and sometimes difficult) task of physical guest logging, printing I.D. badges, and the notification process. All of these steps can cost valuable time and create a crowded lobby, thus hampering productivity while also increasing the threat of an attack or other security risk. Luckily, there’s an answer. A cloud-based virtual visitor management system can solve all of those problems and more in one fell swoop. Using a visitor management solution like SV3® allows you to protect your building from the “unknown” by providing a complete, cloud-based, virtual enterprise application to ensure that everyone arriving at your facility is invited and properly credentialed. Even better, your visitors can be registered and scheduled ahead of time, print out their own I.D. with a QR code sent via email, and your employees or tenants can receive notifications upon their visitors’ check-in and check-out. This results in less hassles, less time spent checking-in visitors, and less security risk overall. 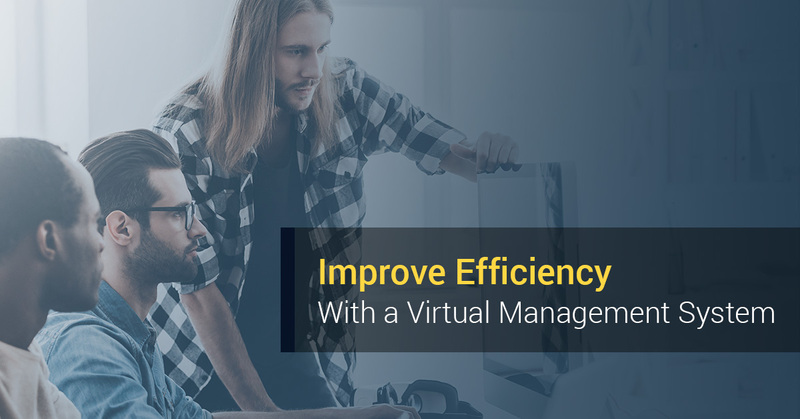 Find out more ways a cloud-based virtual visitor management system can help increase productivity, and call Building Intelligence to get your own solution today. Having an efficient log-in system for visitors not only helps give you peace of mind, but it helps them as well. A digital visitor management system like SV3® can be fully integrated onto a self-service kiosk, allowing you to automate the security process with a digital visitor log book and QR code technology. Furthermore, it gives the visitor an undeniable sense of security, knowing all of their personal information is stored securely and can’t be copied, duplicated, or compromised by unauthorized personnel. This type of trust can help your company built clientele and interact with only approved visitors. Virtual, cloud-based visitor management eliminates the hassle and ineffectiveness of having to track down the proper employees to let them know their visitor has arrived. Instead of having a visitor wander around through the office unattended, a cloud-based visitor management system sends an instant notification through text, email, or alert straight to the employee who scheduled a visitor to let them know they have arrived. Furthermore, they can receive notifications that their visitor has left, expediting the check-out process and improving overall security by ensuring that everyone on the premise is supposed to be there. Virtual visitor management helps with your buildings’ efficiency in more ways than one. While you’re improving productivity, decreasing wait times, and properly vetting your visitors, you’ll also be saving money you would otherwise have to spend on inattentive or unreliable staff members. In addition, you’ll avoid the unnecessary costs of physical paper logs by integrating your visitor management onto an easy-to-use digital application. These solutions are guaranteed ways to not only increase the security and safety of your building, but also make a strong first impression with important clients or visitors. Having an electronic system like SV3® can ensure a significantly higher level of accountability and productivity, and entry management without compromising safety. Making your visitors feel safe. Store visitor records on a secure, private database. Self check-in kiosk and turnstile integration. Notifications upon visitors arrival and departure. Single sign-on with ADFS, OAUTH2, SAML. Our applications can be utilized on kiosks, standard PC/Mac computers, iPads, Microsoft Surface and more. Call us today to find out more about how SV3® visitor management can equip you with safety, security, and efficiency.